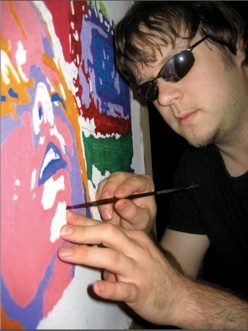 Blind painter John Bramblitt first draws the outline of his subjects with a raised-line paint that he later touches to determine where to fill-in colors. John Bramblitt didn’t start painting until he lost his sight. It was a difficult time. Bramblitt was in his late 20’s and was unaware that his sight was seriously degrading until he was sideswiped by an unseen car. He was also worried about having the severe epileptic seizures that had already taken their toll on his visual brain. And he was angry. In fact, he believes that taking up painting after losing his sight was mostly an act of defiance. Bramblitt had sketched casually in his youth, but he had no experience painting on canvas. Learning to do so as a newly blind individual was pain-staking. While his twenty-five years of visual experience provided him with mental images of what he wanted to paint, he was uncertain how to render these images on a canvas he couldn’t see. He knew that he would need to use his sense of touch to create the images, but was unsure how paint could allow this. Then he discovered ‘puffy paint’. Puffy paint is typically used for decorating fabric and leaves a thin raised line, a line Bramblitt can touch. Puffy paint dries almost instantaneously so that it can be touched just after it is applied. This allowed Bramblitt to develop a technique in which he first uses the puffy paint to produce a detailed drawing of his subject on the canvas. He draws with the tip of a small paint bottle held in his right hand and carefully uses the fingertips of his left hand to determine where he has placed each line. This allows him to guide the position of the next line he’ll lay-down. Initially, Bramblitt found this to be a very slow process. But he has now developed his sense of touch, and inter-hand coordination to the degree that he can draw at a speed not much slower than that of a sighted person. Once the puffy line drawing is complete, he fills in the areas between the lines with different colors of oil paint.  This method involves feeling his way across the canvas with his left hand, as he paints with a brush held in his right. His choice to work with oils has been critical to the process. While oil paint is messier, more pungent, and dries much slower than acrylics, it offers something that no other paint can: idiosyncratic viscosity. Bramblitt has discovered that different colors of oil paint feel different to the touch based on the ingredients used for their pigments. “Depending on the manufacturer, white feels thicker on my fingers, almost like toothpaste, and black feels slicker and thinner. To mix a gray, I’ll try to get the paint to have a feel of medium viscosity.” And by sticking with a single manufacturer for each of his paints, he is able to recognize and mix all the other colors he uses in this way. Bramblitt typically paints at least eight hours a day and has done so for nearly ten years. This intensive experience has allowed him to fine-tune his touch skills so that he can work more efficiently. These days, he doesn’t need to touch the paint with his fingers so much. Instead, he is able to get a good sense of what paints and mixtures he’s using by how the brush feels in his hand as he pulls its bristles through the paint. The viscosity of the paint creates a resistance in the bristles that gets transmitted to the brush’s handle. He can feel the paint’s viscosity, by proxy, through the brush. Similarly, as he paints on the canvas, he is now able to feel the raised lines of the puffy paint with his brush. His awareness of the resistance to his brush strokes allows him to keep his colors within the lines’ borders. This frees up his left hand to take in more of the raised-line drawing so he can anticipate what parts he’ll paint next.